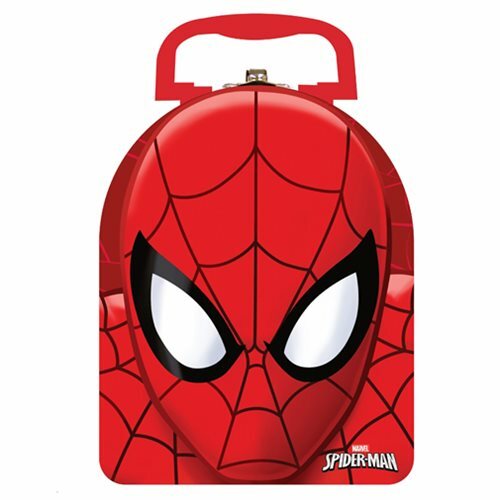 Spidey seldom misses when he slings his web, and you can't miss when you order this Spider-Man Arch Carry All Embossed Tin Lunch Box! This amazing tin tote features the face of Marvel's famous wall crawler. The tin tote measures about 7 1/2-inches tall x 6-inches wide x 2 3/4-inches long.